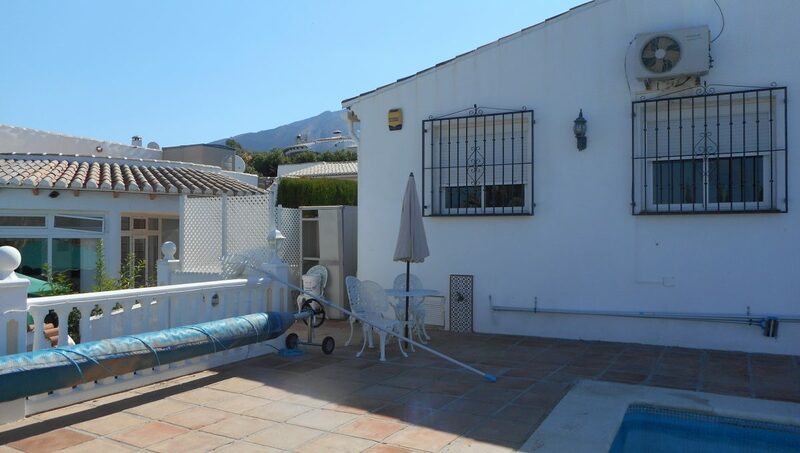 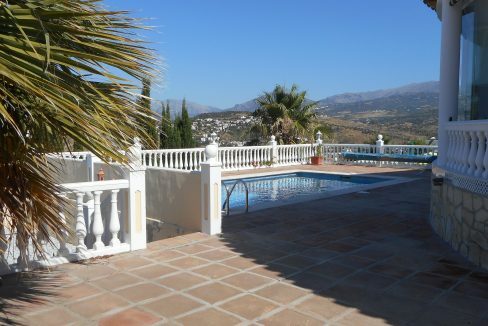 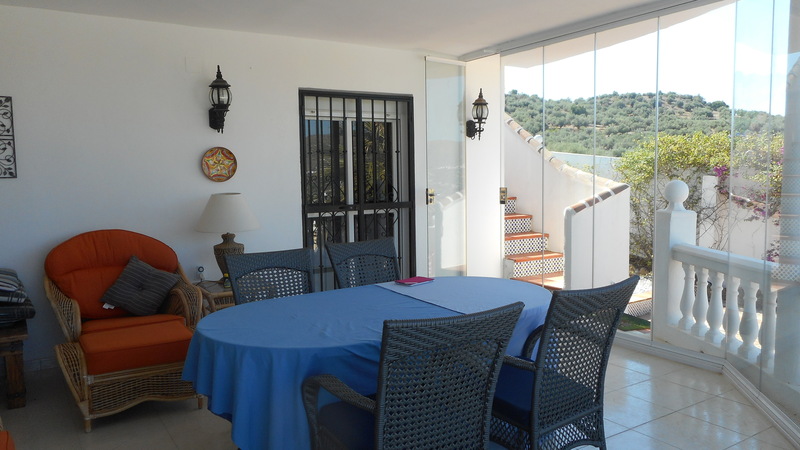 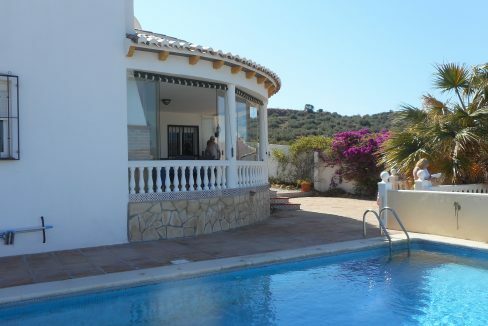 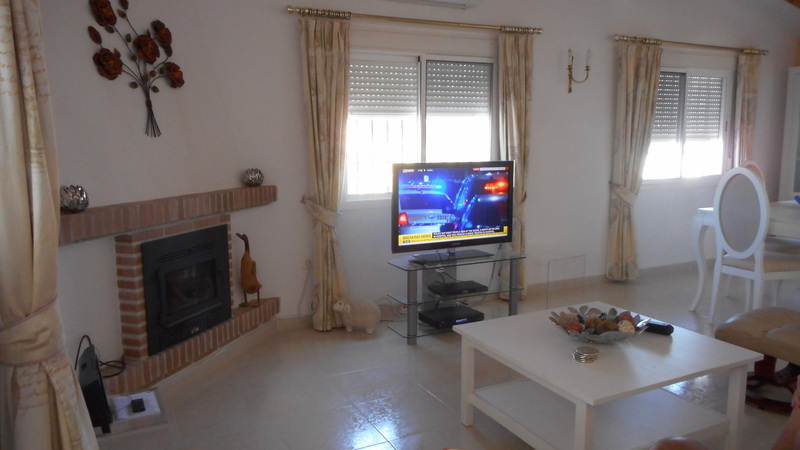 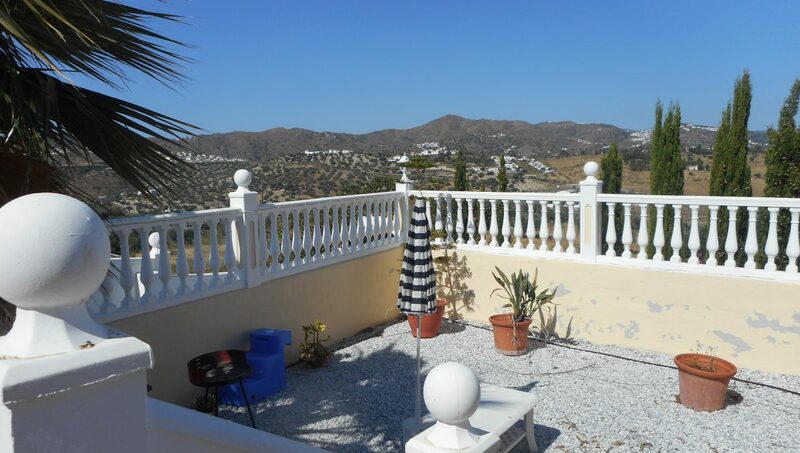 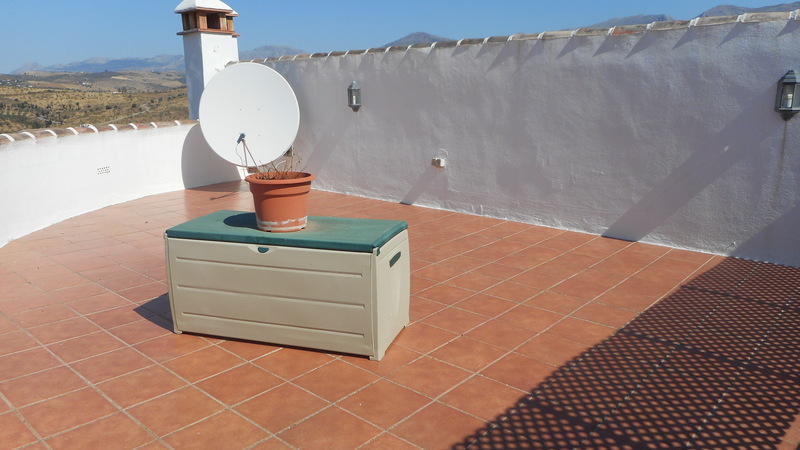 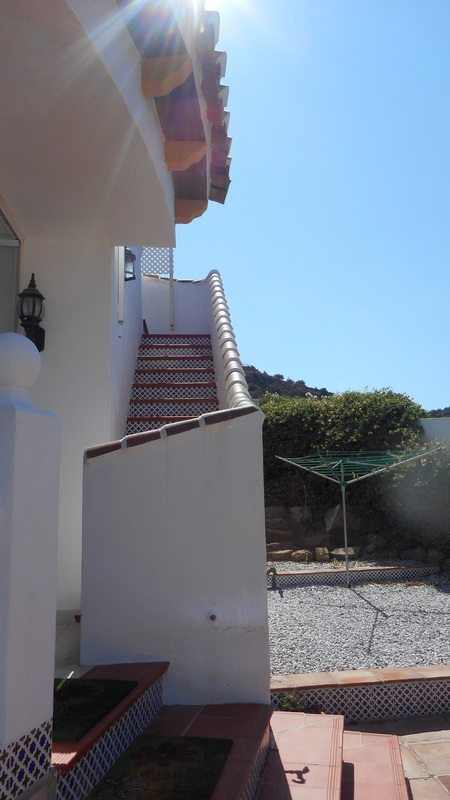 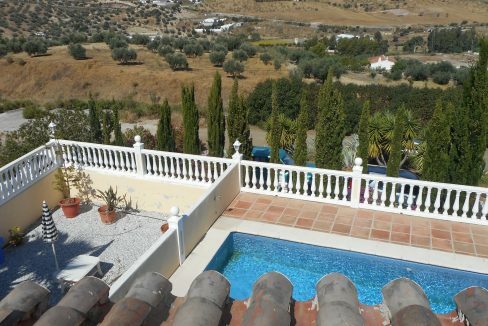 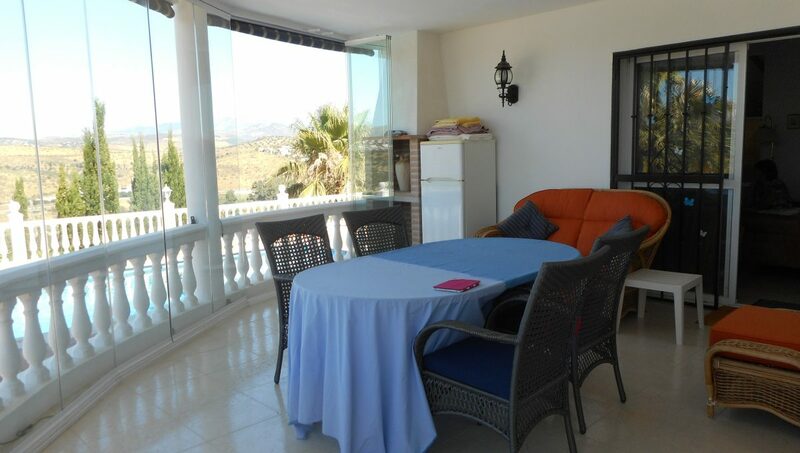 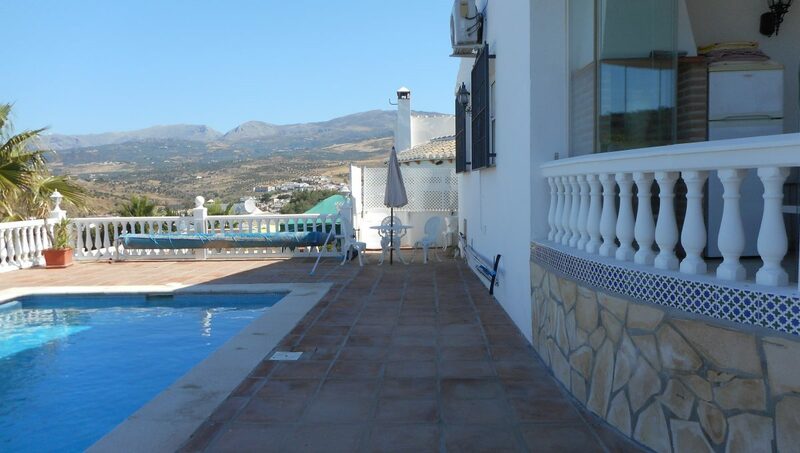 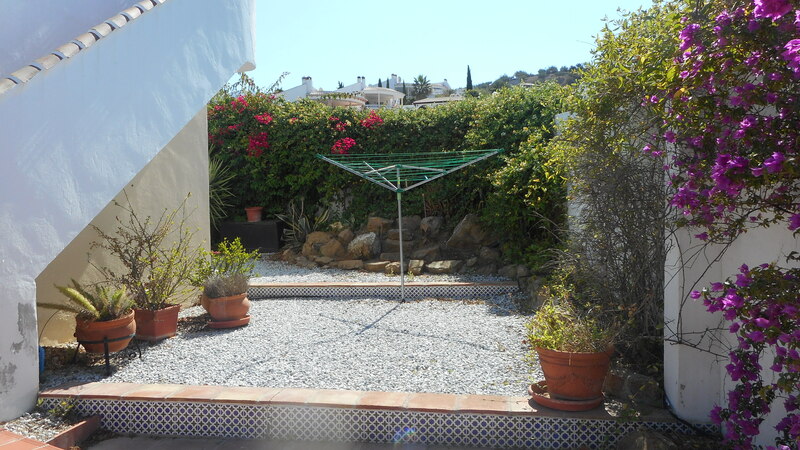 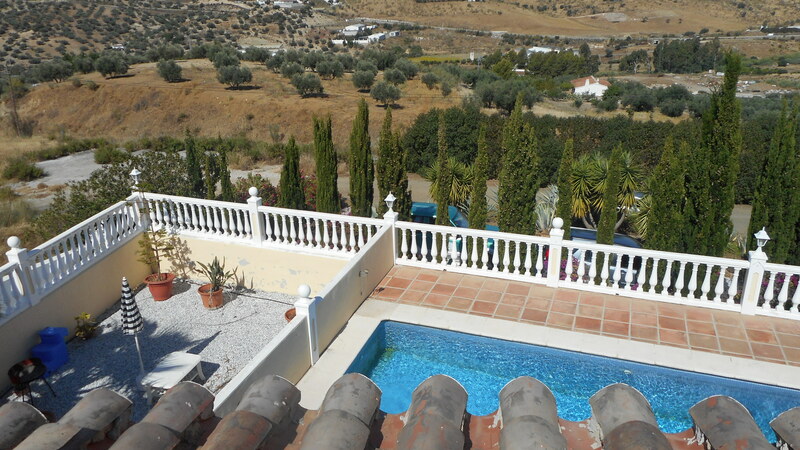 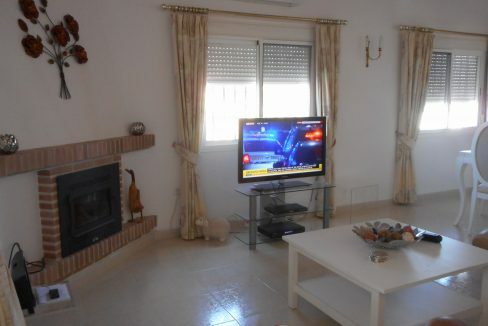 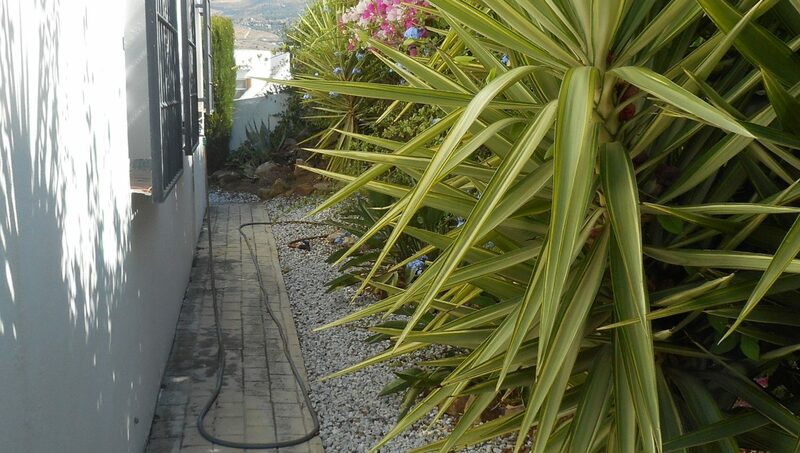 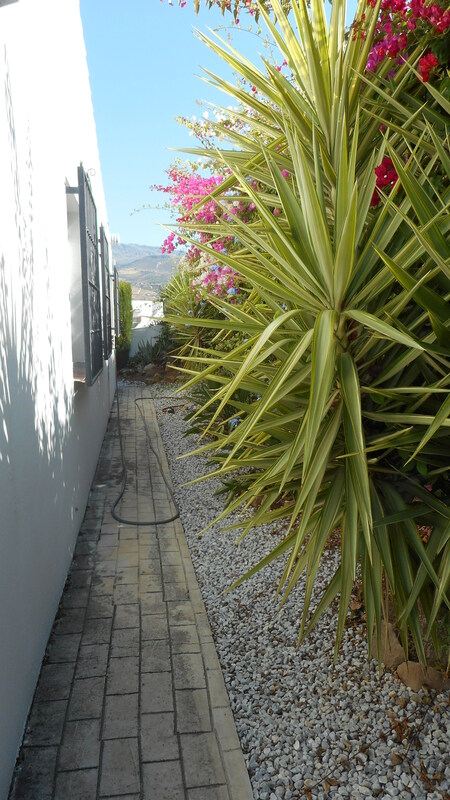 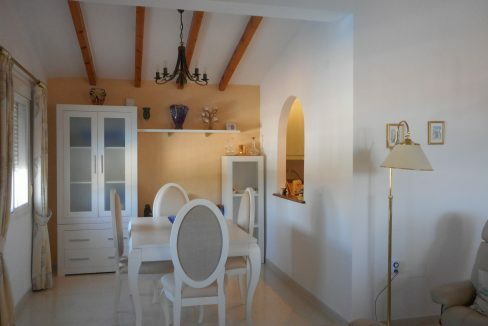 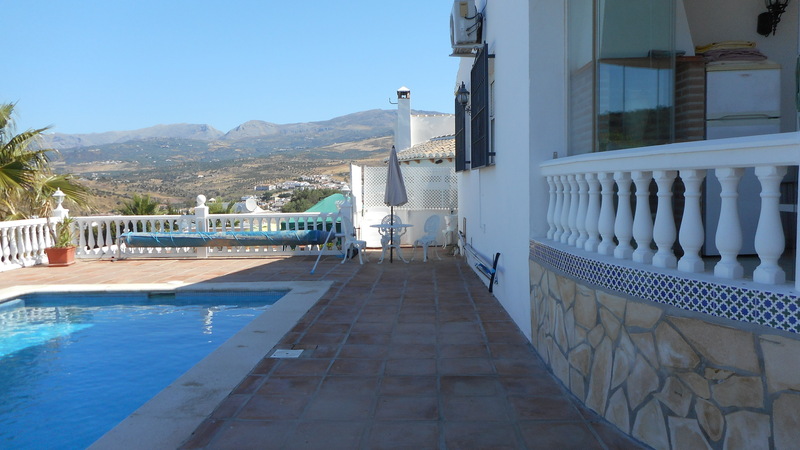 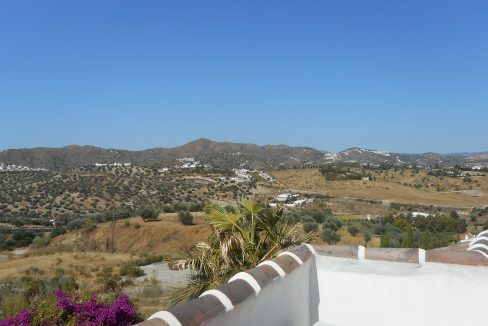 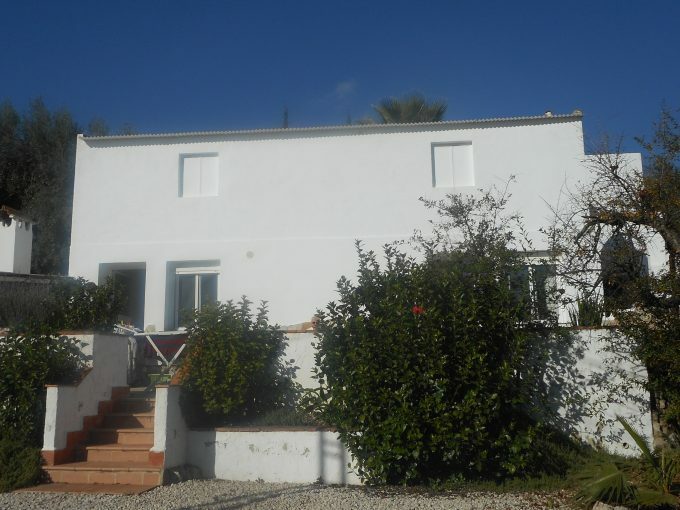 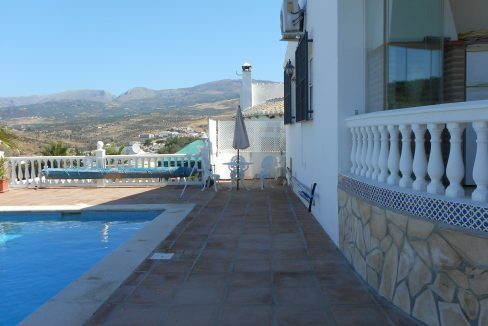 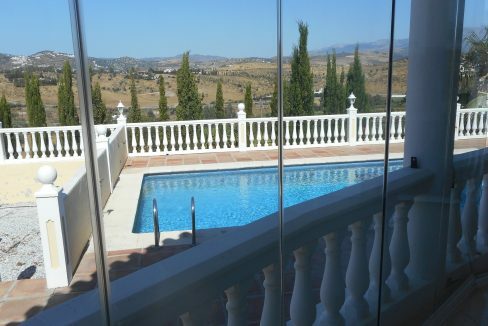 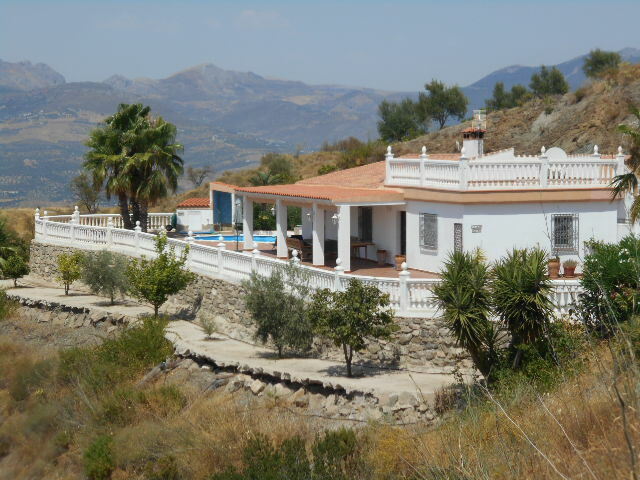 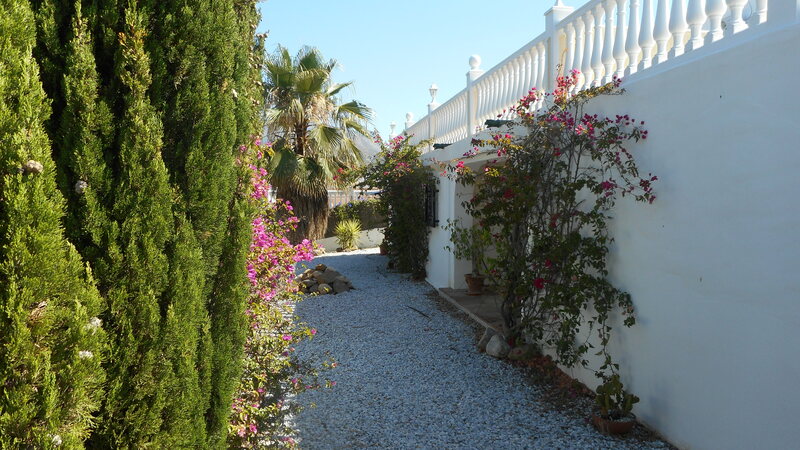 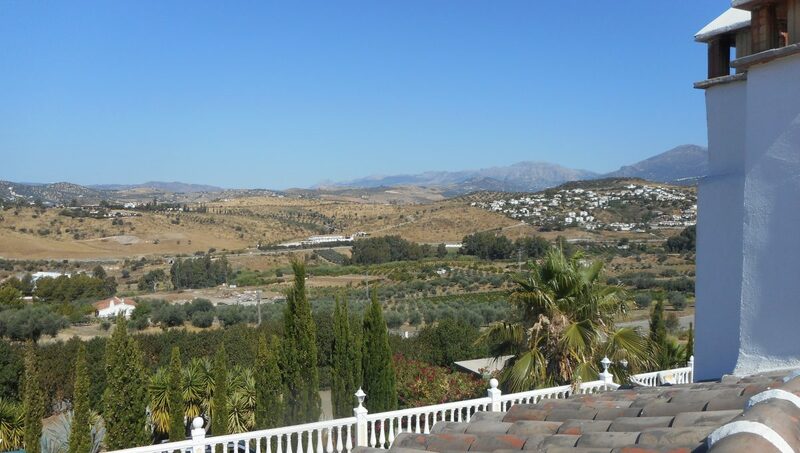 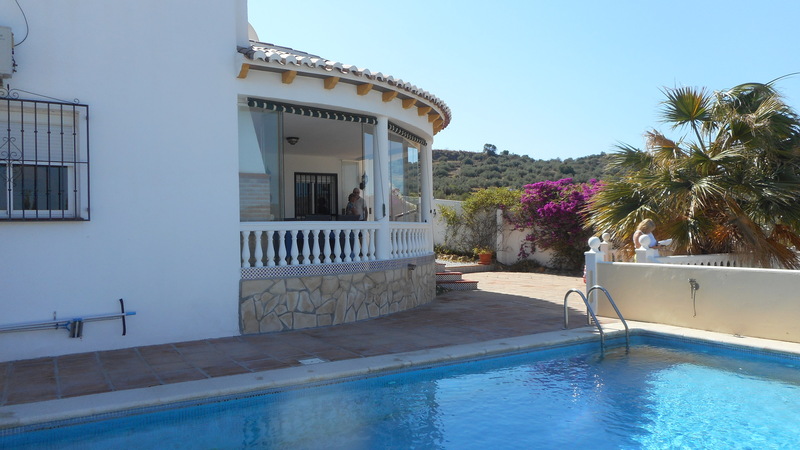 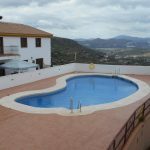 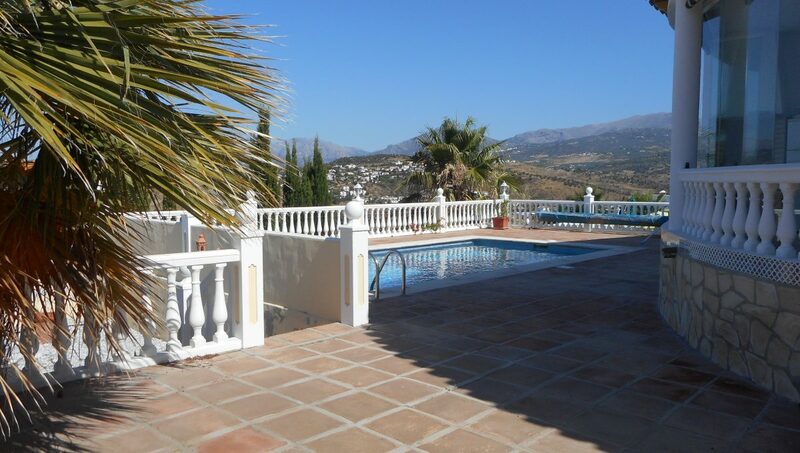 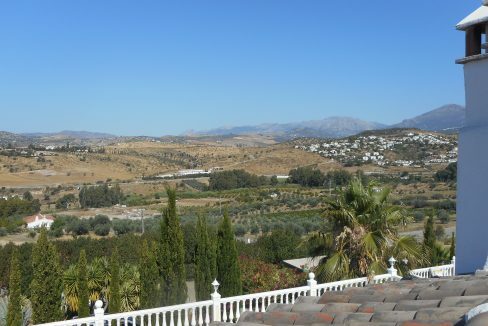 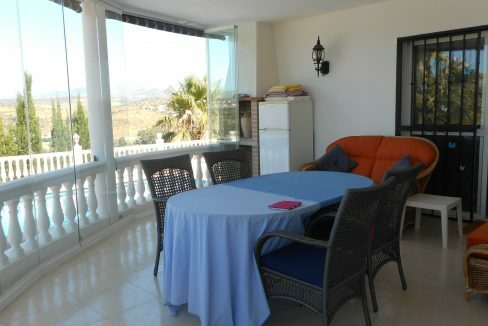 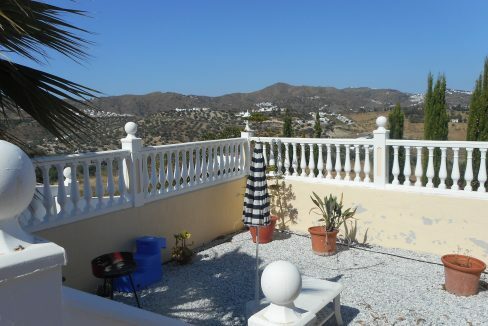 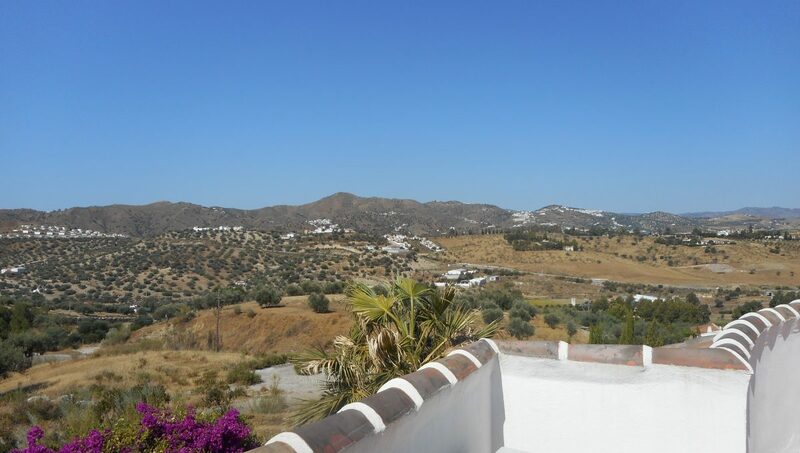 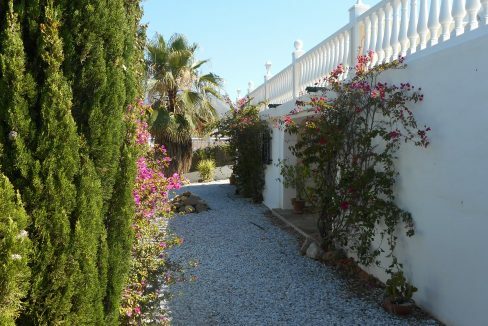 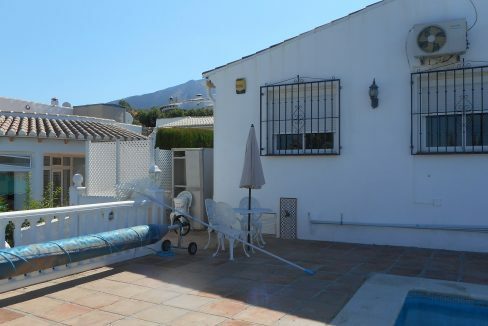 A fantastic light and airy 3 bed, 2 bath villa set just on the front of a small urbanisation in Puente don Manuel, near to the village of La Vinuela, with amazing views to the valley, countryside and mountains. 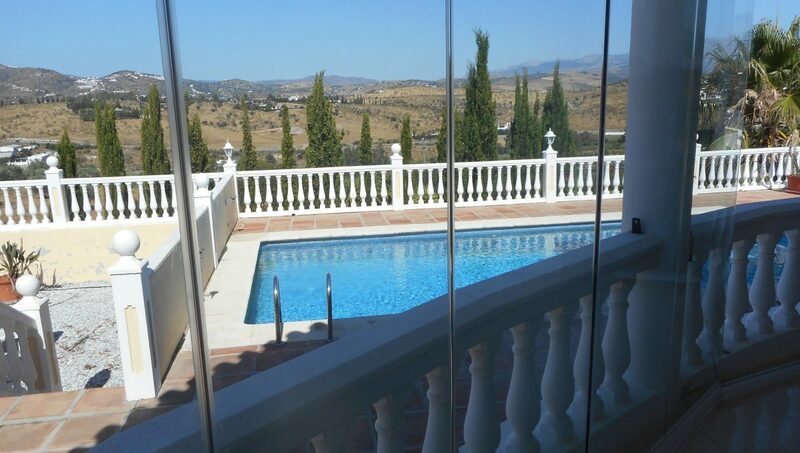 A perfect setting for a get away from it all holiday. 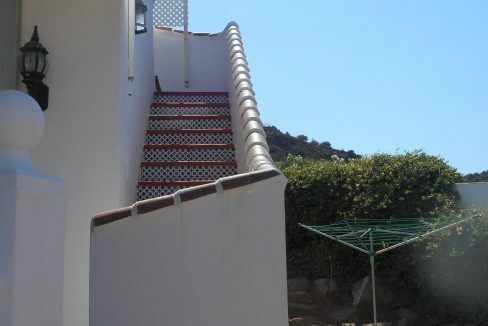 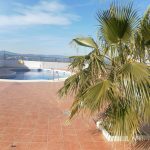 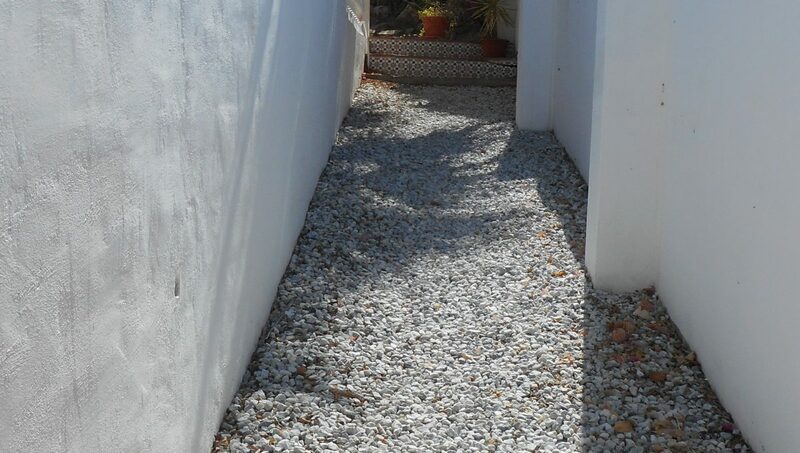 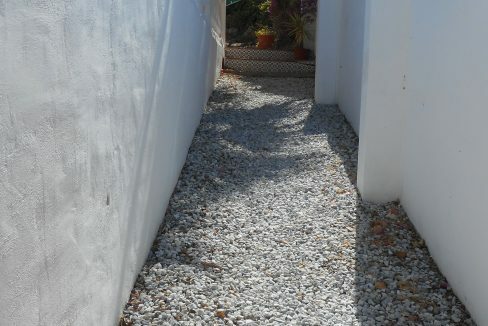 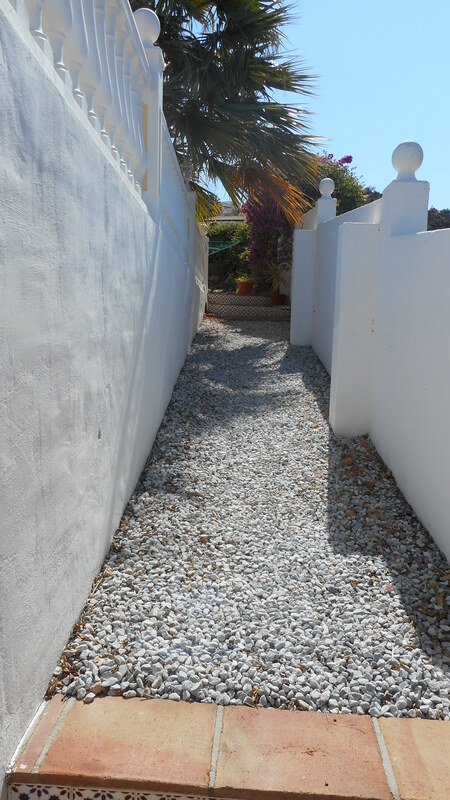 Villa has off road parking for several cars with an in and out driveway, side gated entrance with steps upto terracing area with a lower shingle area for sunbathing and bbq. 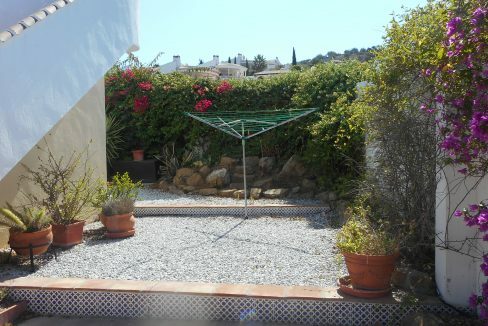 Private pool with large terrace area around and to the rear shingle and shrubs. Glazed covered terrace great for dining al fresco of an evening, patio doors to the large L shaped lounge/diner with log burner, with apex ceiling, beams, aircon and fan, living area also have a panel heater. 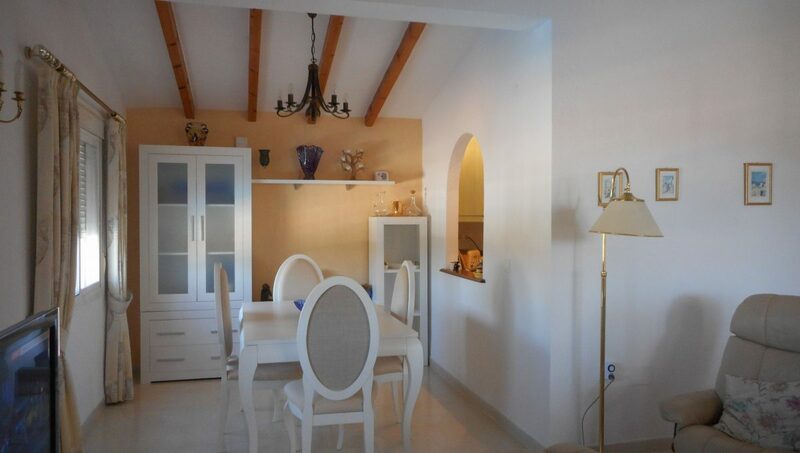 Fitted fully equipped galley kitchen with arch through to diner. 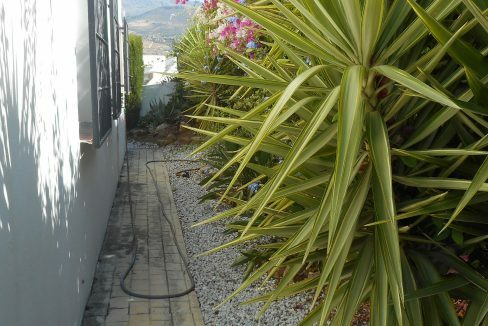 Rear entrance door and hall with panel heater and a large utility room. 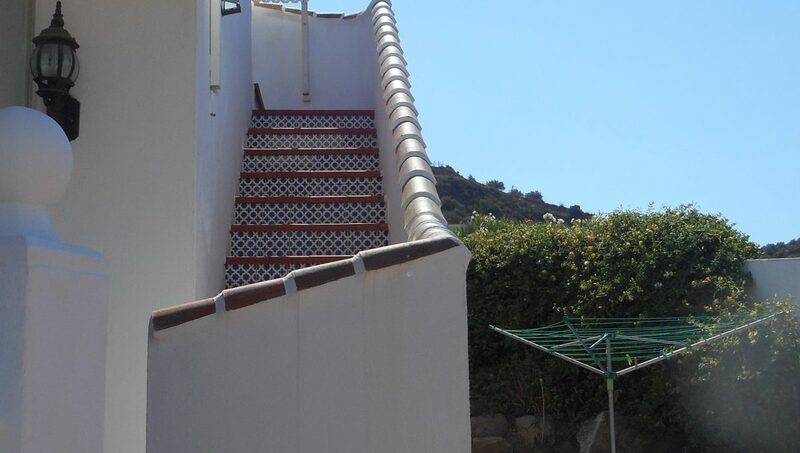 3 bedrooms, 2 x double with fans and fitted wardrobes and 1 master double with fan, fitted wardrobes and aircon, with ensuite bathroom with shower over bath and heated towel rail, patio doors to the covered terrace. Large roof terrace with amazing views. 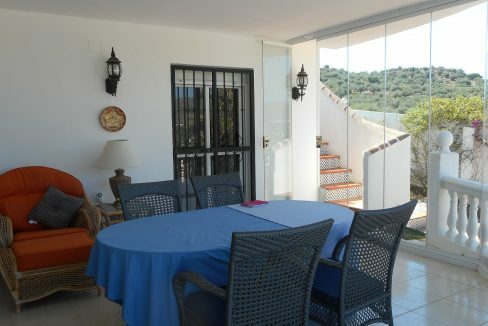 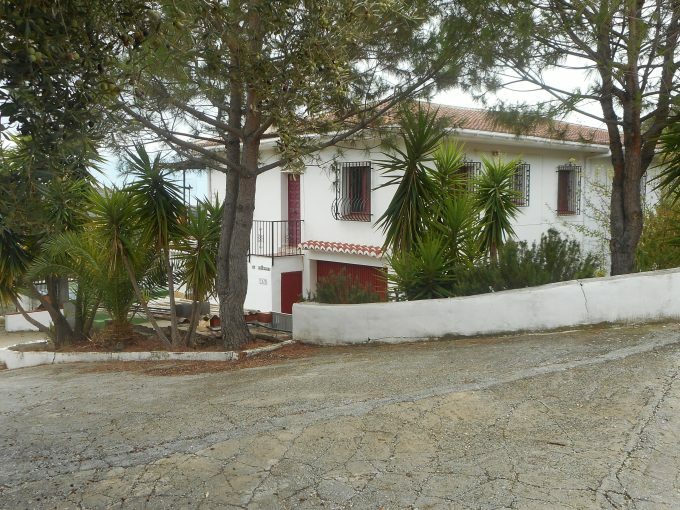 Property in a private, quiet location but very near to all transport links, shops and restaurants. 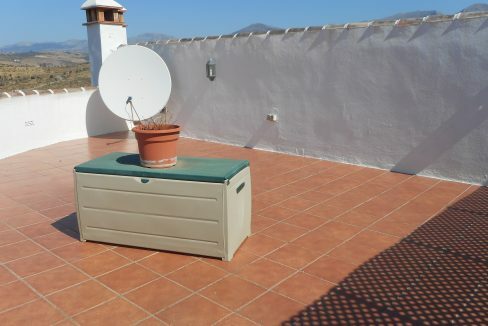 UK TV system, WIFI internet, music system view USB.